This week: new books from Anne Tyler, Naomi Novik, and more. Journalist Ambinder’s account of a serious threat of global annihilation—stemming from a 1983 NATO war exercise—is spellbinding. Ambinder lays out the grave weaknesses in America’s nuclear command-and-control structure in the early 1980s: the process the president was supposed to use to make decisions about whether to launch nuclear missiles was much too long, and the U.S.’s early warning system was unreliable. 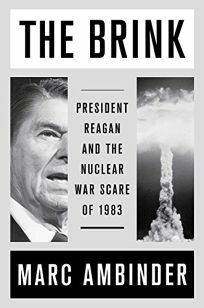 Those problems informed the Reagan administration’s approach to the Soviets; in order to mask the U.S.’s vulnerability to a first strike, Reagan sought to add to America’s nuclear arsenal (feeling that “the best way to reduce the threat to the U.S. would be to increase the threat to the Soviet Union”). The practical implications of this dysfunction manifested during Able Archer 83, “an annual dry run” of the transfer of NATO’s nuclear warheads from American control to European custodians, when a change in communication methods and patterns gave the Soviets the mistaken impression that the exercise might be a cover for an American first strike on the Soviet Union, which readied troops and nuclear weaponry to respond. While disaster was averted, Ambinder illuminates the fragility of existing safeguards against an unintentional launch, a timely topic given concerns about Iran and North Korea. He also walks the reader through the Reagan administration’s and the Soviet government’s respective internal debates about diplomatic and military strategy. This is a masterpiece of recent history. 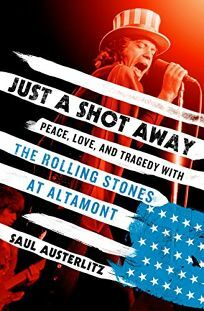 Austerlitz (Money for Nothing) offers a blistering exploration of the deadly confluence of racism, stoned naïveté, biker belligerence, and rockstar obliviousness that resulted in the murder of 18-year-old Berkeley arts student Meredith Hunter at the Rolling Stones’ infamously disastrous concert in Altamont, Calif. Hastily thrown together for December 1969 after the surprisingly peaceful success of Woodstock, Altamont, with its 300,000 attendees, was the biggest rock concert ever held in the Bay Area. But instead of hiring off-duty cops as security as Woodstock’s organizers did, the organizers of Altamont brought on a phalanx of Hells Angels, chummy with local hippie bands like the Grateful Dead, who thought of them with “misplaced confidence” as countercultural allies. The result, as hundreds of thousands of concertgoers swarmed the site, ingesting substances in a “full-on bacchanalia,” was the “hippie aesthetic of laissez-faire planning” slamming into a violent atmosphere as the Angels beat anyone who got too close to the stage. It was during the Stones’ set that the Angels “pummeled and stomped” Hunter after he pulled an unloaded pistol trying to ward off further beatings. Hells Angel Alan Passaro was brought to trial for stabbing him, but was acquitted on the grounds of self-defense. This is a deeply researched and colorfully written account of the disastrous symbolic end to the 1960s. 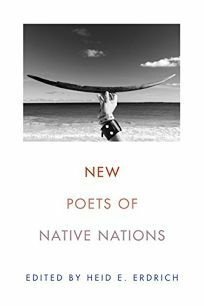 Erdrich (Curator of Ephemera at the New Museum for Archaic Media), an Ojibwe writer and scholar, goes some way toward rectifying a noticeable dearth of anthologies of contemporary Native poets with this essential volume. To do this, Erdrich selected 21 writers of varying backgrounds and statures who published their first collections in the 21st century, which she describes as “an era of witness, of coming into voice, an era of change and of political and cultural resurgence.” Given that there are 573 recognized Native nations across America, the volume is far from comprehensive, yet it demonstrates the remarkable breadth of formal styles and substantive concerns among even this small cohort of Native writers. Several of the poets here have garnered recognition in wider literary circles, including Cedar Sigo, Layli Long Soldier, and Tommy Pico, and others—such as dg nanouk okpik, Brandy Nalani McDougall, and Eric Gansworth—deserve greater attention. Through this first anthology of US Native poets since 1988, Erdrich offers readers a path into a “brilliantly lit dimension” that has long been obscured by colonialism in the worlds of academia and cultural production. 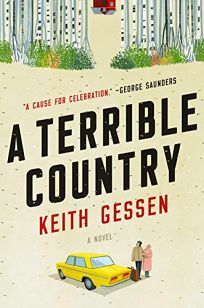 In Gessen’s exceptional and trenchant novel, floundering 30-something professor Andrei Kaplan flees from New York to Russia, the country of his birth, to reassess his future and take care of his ailing grandmother. Called abroad by his enterprising older brother, Dima, Andrei arrives in Moscow to find the city of his memory surreally changed, his 89-year-old grandmother’s apartment one of the few spaces exempt from a partial Westernization. Andrei’s early attempts to reorient himself to post-Soviet Russian society bring about considerable insight and humor—getting rebuffed by a men’s adult hockey league, getting pistol-whipped outside a nightclub—leading him back to watching old Russian films with his grandmother. Eventually, though, Andrei carves out a place for himself among a group of leftists known as October, whose ranks include Yulia, a devout radical with whom Andrei embarks on a romantic relationship. Gessen (All the Sad Young Literary Men) meticulously forges these bonds before casting them in doubt, as Andrei’s involvement in a protest complicates the new life he has built. While poised to critique Putin’s Russia, this sharp, stellar novel becomes, by virtue of Andrei’s ultimate self-interest, a subtle and incisive indictment of the American character. Former U.S. poet laureate (2006–2007), Hall reflects on aging and death in this candid and often humorous memoir. 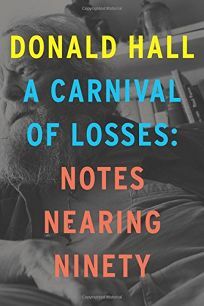 Hall meanders over mundane losses in his life—the demise of mill towns, the root cellar in his New Hampshire home—as well as the death of his wife, poet Jane Kenyon, 20 years ago, and the poets he has known. In a meditative opening, Hall says about aging, “you are old when the waiter doesn’t mention that you are holding the menu upside down,” and notes that “in your eighties you take two naps a day. Nearing ninety you don’t count the number of naps.” He reminisces about various poets he’s known: James Dickey was “the best liar I ever knew”; Allen Tate “always looked grumpy”; James Wright was always passionate about literature. Hall no longer writes poetry or essays, but prefers to write about his life and experiences and “tell short anecdotes.... why should the nonagenarian hold anything back?” In the longest section, “Necropoetics,” Hall bares his grief during his wife’s prolonged death from cancer, recognizing how much her voice still lives in his own, “spiraling together images and diphthongs of the dead who were once the living, our necropoetics of grief and love in the unforgivable absence of flesh.” Hall’s ruminative and detailed reflections on life make this a fantastic follow-up to his Essays After Eighty. In this compelling reimagining of “Beauty and the Beast,” Jensen integrates a new plot thread in the form of a third protagonist into the familiar fairy tale. Chambermaid Lucie is transformed into an ever-burning candlestick by the same spell that turns the wicked Jean-Loup, Chevalier du Beaumont, into the gentle-souled, monstrous-seeming Beast. Because Jean-Loup sexually assaulted her soon after they first met, Lucie is eager to witness his downfall, but equally unprepared to develop sympathy for the Beast, who seems an entirely different person altogether. Then Rose arrives, fulfilling a desperate bargain made between her impoverished merchant father and the Beast, and Lucie must find a way to protect her friend from falling in love, breaking his curse, and thus allowing the cruel Jean-Loup to return. Jensen (The Witch from the Sea) includes all of the tale’s most significant elements—including the classic romance, evoking both the traditional story and the Disney version—while still adding new twists and depths. 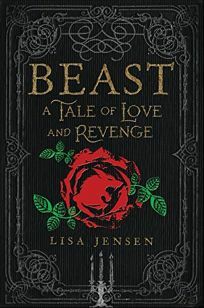 Haunting language and lush descriptions (“the petals are long-dead; they have lost their bright color and velvety texture and curled into crisp, dry cinders...”) engage the senses, making this a memorable, worthy addition to the canon of “Beauty and the Beast” retellings. Ages 16–up. The streets of Athens prove as mean as those of Raymond Chandler’s L.A. in Koutsakis’s brilliant second noir featuring Stratos Gazis (after 2017’s Athenian Blues). Angelino, a powerful and shadowy figure, asks Stratos—who considers himself a kind of caretaker, someone who “clears the world of filth and gets paid for it”—to look into the three-year-old unsolved murder of Themis Raptas. A former respected journalist who ended up living on the streets, Raptas was tortured before being shot 10 times. The m.o. matches that of the currently active killer the press has dubbed the Avenger, who has been targeting pedophiles identified by a popular reality TV show. Raptas had an adopted daughter, Emma, now 14, whom Angelino took in after her father’s death. Emma tells Stratos she wants revenge, not justice, a charge complicated by his learning of an apparent connection between Raptas and the Avenger. While the plotting matches James Ellroy’s best work, Koutsakis does a better job of making the twists flow organically from the characters. 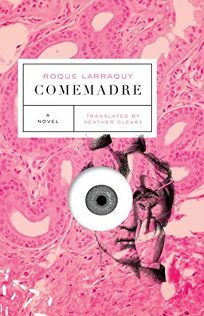 Larraquy’s delightfully terrifying debut tells of a twisted medical experiment and a shocking art installation a century apart. In 1907 at the Temperly Sanatorium, a few miles outside Buenos Aires, Doctor Quintana’s superiors propose a disquieting experiment in the name of science: decapitate patients without damaging their vocal cords and, in the few seconds while the severed head maintains life, ask it what it sees. Quintana, who believes “to be present, but not participate directly, is the dream of every doctor,” passively goes along with conducting the experiment; he’s more interested in the sanatorium’s head nurse, Menéndez, who rebuffs his increasingly forceful advances. One decapitated head says “I’d like some water”; another “screams for nine seconds straight.” The experiment soon gets out of hand, culminating in a violent, thoroughly unsettling event. Afterward, the novel switches and is narrated by an unnamed Argentinian artist in 2009 whose displays include a live baby with two heads. He meets Lucio Lavat, another artist who looks just like him, and the two conceive a gruesome installation. How Larraquy ties the two halves of the novel together is surprising and brilliant. Throughout, there is a focus on bodies: a patient believes “each word [she] utters is a fly leaving her mouth”; at one point, the artist thinks, “people with long fingers touch things as if they were leaving a trail of slime on them”; and the book’s title refers to a plant that produces flesh-eating larvae. Shuttling between B-movie horror and exceedingly dark comedy, the novel is somehow both genuinely scary and genuinely funny, sometimes on the same page—a wickedly entertaining ride. This slim, singular memoir by British playwright and poet Levy (Hot Milk) chronicles a brief period following the “shipwreck” of the London writer’s 20-year marriage. 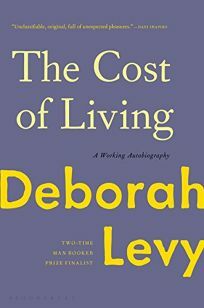 Levy, a Booker Prize finalist, moved from a large Victorian home to an apartment with her two young adult daughters, accepted an offer from an octogenarian friend of a small shed in which to write, and began to rebuild her life. In the process, she explores the role she has played in the past: that of the nurturing “architect” of family life. 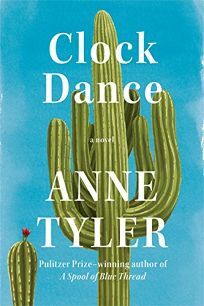 Now she hopes to reinvent herself as an independent woman who not only provides for her children, but who enjoys a new physical (e.g., she whizzes about on an electric bike) and creative energy in “the most professionally busy time” in her life. She is occasionally drawn back to her former life; memories make her long for the past (a sprig of rosemary, for example, makes her think of a garden she once planted in the family house), but don’t prevent her from moving forward. Levy describes writing as “looking, listening, and paying attention,” and she accomplishes these with apparent ease. Her descriptions of the people she meets, the conversations she overhears, and the nuances she perceives in relationships are keen and moving (about a man she has just met, “I objected to my male walking companion never remembering the names of women”). This timely look at how women are viewed (and often dismissed) by society will resonate with many readers, but particularly with those who have felt marginalized or undervalued. Lim’s stellar follow-up to 2007’s The Same Woman concerns Polly Nader, who signs an agreement to travel through time from 1981 to 1993 to save her boyfriend. During a road trip in 1981, Buffalo residents Polly and Frank are stuck in Texas as state borders are closed to prevent a virulent strain of flu from spreading. Due to time-travel limitations, doctors are unable to travel back far enough to prevent the pandemic’s onset, but people are being recruited by the company TimeRaiser to help rebuild the future. After Frank is infected by the virus, the two decide to separate; Polly strikes a 32-month deal to work for TimeRaiser and plans to reunite with Frank upon arrival. Bonded workers spend their time doing jobs like riding exercise bikes for hours in order to power resorts and are disparagingly referred to as journeymen in a future where the country has been divided into the United States and America. Polly is in the latter (composed mainly of resorts for the wealthy), but Buffalo—where Polly assumes Frank is—is in the former. 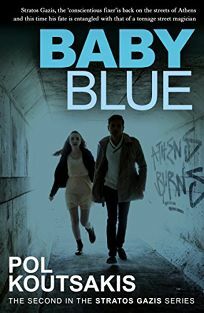 Polly’s lowly status and lack of funds keep her from knowing if Frank is even alive, and she isn’t allowed to leave America for the United States until her contract is up. She endures betrayals and despair as she tries to break free of her servitude and make the potentially hopeless journey to find Frank. Lim’s enthralling novel succeeds on every level: as a love story, an imaginative thriller, and a dystopian narrative. The latest from Booker finalist Moshfegh (following the story collection Homesick for Another World) is a captivating and disquieting novel about a woman's quest to sleep for a year. The unnamed narrator is in her 20s, lives alone on the Upper East Side, has plenty of money from her inheritance, and decides to hibernate with chemical assistance in the year 2000 in order to "drown out her thoughts" and avoid the world, since she "hate[s] everyone and everything." Her only relationships are with the cashiers at her bodega, where she picks up meager supplies like coffee and animal crackers; her quack psychiatrist Dr. Tuttle, who dispenses pills like candy; and Trevor and Reva, her on-and-off boyfriend and college friend, respectively, neither of whom she likes much. For a while, the narrator's plan works: she takes "upwards of a dozen pills a day," watches movies on VHS, and willfully blanks out her life ("I was more of a somniac. A somnophile."). But when Dr. Tuttle's medication regimen intensifies and the narrator experiences strange, activity-filled blackouts from a drug called Infermiterol, she escalates her plan, with potentially fatal consequences. 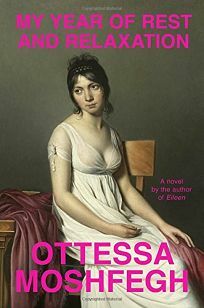 Though the novel drags a bit in the middle, leading up to the Infermiterol plan, it showcases Moshfegh's signature mix of provocation and dark humor. Following the narrator's dire trajectory is challenging but undeniably fascinating, likely to incite strong reactions and much discussion among readers. This gorgeous, complex, and magical novel, grounded in Germanic, Russian, and Jewish folklore but richly overlaid with a cohesive, creative story of its own, rises well above a mere modern re- imagining of classic tales. Novik (Uprooted) begins the story through the eyes of Miryem, a Jewish moneylender’s daughter, whose pride in her ability to wring payments from borrowers draws the demanding attention of the terrifying, otherworldly, and rules-bound Staryk, who are ruled by a wintry, gold-loving king. Secondary characters—a peasant boy, a duke’s daughter, a tsar—eventually become narrators, weaving interconnections that feel simultaneously intimate and mythic. Novik probes the edges between the everyday and the extraordinary, balancing moods of wonder and of inevitability. Her work inspires deep musings about love, wealth, and commitment, and embodies the best of the timeless fairy-tale aesthetic. 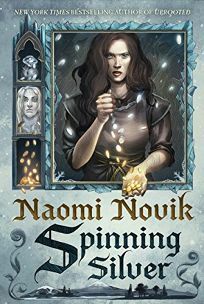 Readers will be impressed by the way Novik ties the myriad threads of her story together by the end, and, despite the book’s length, they will be sad to walk away from its deeply immersive setting. This is the kind of book that one might wish to inhabit forever. Science writer Quammen (The Song of the Dodo), as he has so often done before, explores important questions and makes the process as well as the findings understandable and exciting to lay readers. Here, he delves into the field of molecular phylogenetics, the process of “reading the deep history of life and the patterns of relatedness from the sequence of constituent units in certain long molecules,” namely “DNA, RNA, and a few select proteins.” Although the topic might seem arcane, he brings it to life by profiling many of the field’s most important players, including microbiologists Carl Woese and Ford Doolittle, and demonstrating how it has changed “the way scientists understand the shape of the history of life.” The breakthroughs Quammen describes include Woese’s classification of the archaea, a new category of living creatures made up of single-celled microorganisms, and Doolittle’s insight, recounted in an interview with the author, that genes can be transferred horizontally, between organisms (and not always closely related organisms) rather than simply between parent and offspring. 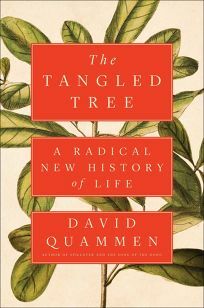 The cumulative effect is to transform Darwin’s famous image of evolution as a straightforwardly branching “tree of life” into a “tangle of rising and crossing and diverging and converging limbs.” This book also proves its author’s mastery in weaving various strands of a complex story into an intricate, beautiful, and gripping whole. Novelist Schwartz (Angels Crest) turns to nonfiction in this reflective account of her brief time behind bars. Following an arrest for driving under the influence (and a dubious charge of battery of an officer), the writing teacher found herself in Los Angeles County Jail, sentenced to 90 days, of which 37 were eventually served. 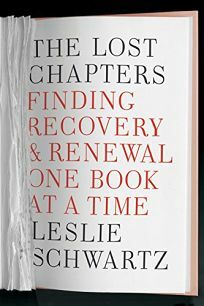 Married and the mother of an adolescent daughter, Schwartz had been sober for 10 years before relapsing into drug and alcohol addiction, and a series of blackouts that culminated in her arrest, imprisonment, and the haunting realization that she had lost entire “chapters” of her life. While in jail, she read (she was allowed to order three books per week) and found inspiration and escape in the writings of Ruth Ozeki (A Tale for the Time Being) and Edith Wharton (Ethan Frome), among many others. She was a middle-aged Jewish woman among primarily black and Latino prisoners, and there she learned to let go of self-blame and shame, and reached out to her cellmates (a 21-year-old prostitute named Wynell, and Qaneak, who killed a cop) with kindness and generosity (for example, by teaching yoga). In return, she found sisterhood, support, and love. The author’s heartfelt story of self-acceptance and redemption will captivate readers with its honesty, vulnerability, and array of memorable characters. Pulitzer winner Tyler (following A Spool of Blue Thread) takes a bittersweet, hope-filled look at two quirky families that have broken apart and are trying to find their way back to one another. Plaintive Willa is the link between her own fractured Pennsylvania family—rebellious sister Elaine, long-suffering dad Melvin, and “tempestuous” and abusive mom Alice—and that of lonely Baltimore single mom Denise and her precocious, love-starved daughter, Cheryl. The novel’s first half follows Willa as she negotiates her troubled teenage years in the 1960s and her 20s and 30s in the ’70s, her reluctant marriage to college sweetheart Derek, and her late-in-life second marriage with stuffy retiree Peter. The narrative then jumps to 2017, when Willa gets a breathless call to come to Baltimore to help take care of Cheryl, the young daughter of her son’s recent ex-girlfriend, as Cheryl’s mom, Denise, recovers from a mysterious shot in the leg. There, Willa settles amiably in a neighborhood of misfits, hooligans, and steely survivors—and explores her own family miseries. 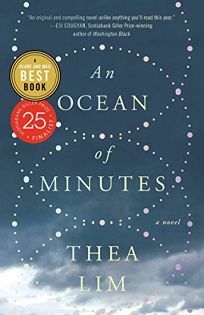 The cast of sharply drawn characters dominates in ways both reflective and raucous across a series of emotional events, such as Willa’s baffling encounter with a would-be hijacker, a heartbreaking moment with her elderly dad, and the jolting advice she receives from a kindhearted doctor. It’s a stellar addition to Tyler’s prodigious catalogue.